On a recent shopping trip we stumbled across these items in the stationery section of Asda. 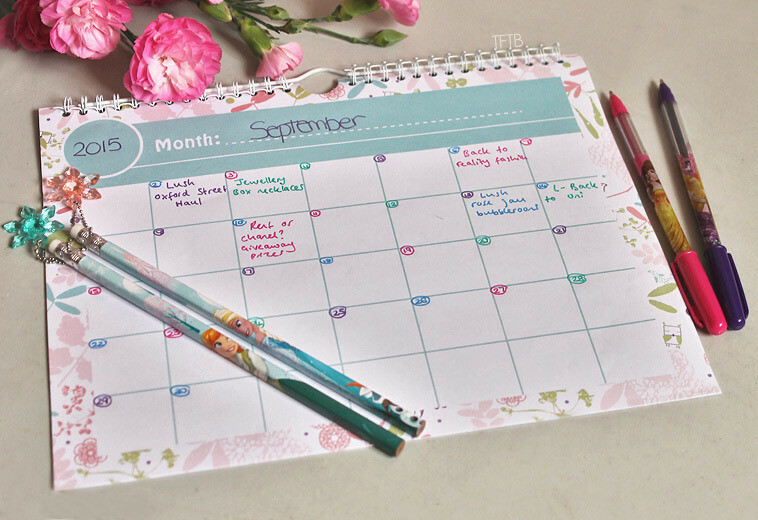 We thought it would be cool to try them out and use them to keep ourselves and our blog organised! The first thing we picked up was this blank calendar, which we thought would be perfect for planning when to upload posts! This was a bargain as we found it in the sale for just 50p, we wish we picked more! The design is cute and simple and it has a little hook so it can be hung up on your wall. The whole idea is that you fill it in yourself and fill out the days in separate columns (although we only gathered that right after we filled it in, sigh!!). Hopefully this will help us keep on track when it comes to posting! Another thing we picked up was this paper desk planner. The purpose of this is that you use it as a mousepad, although we think it’s too pretty to be hidden under a mouse! It has three sections, ‘Stuff to Do’, ‘Stuff to Buy’ and ‘Urgent Stuff’. As we are using this for blog purposes, we’re using the ‘Do’ section to write what posts we need to write up or what photos to take. Things we want to try out and review we list in the ‘Buy’ area and of course important stuff like hosting blogger chats etc goes in the ‘Urgent’ section! 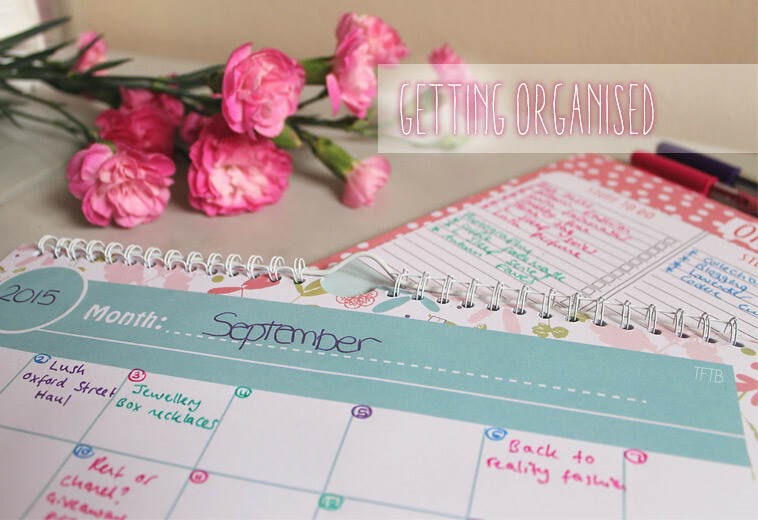 How do you keep yourself organised when it comes to blogging? Do you have any specific things like this that help you out? 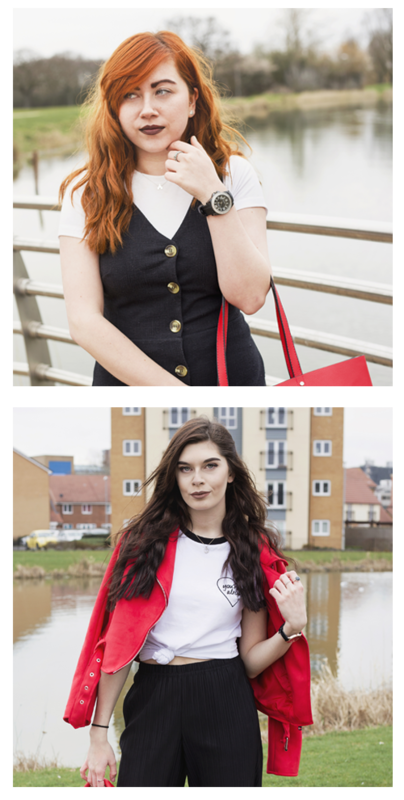 We’re hoping these two items can help us when it comes juggling blogging, work and college/uni! Love this! I can’t help myself when it comes to cute stationary items! 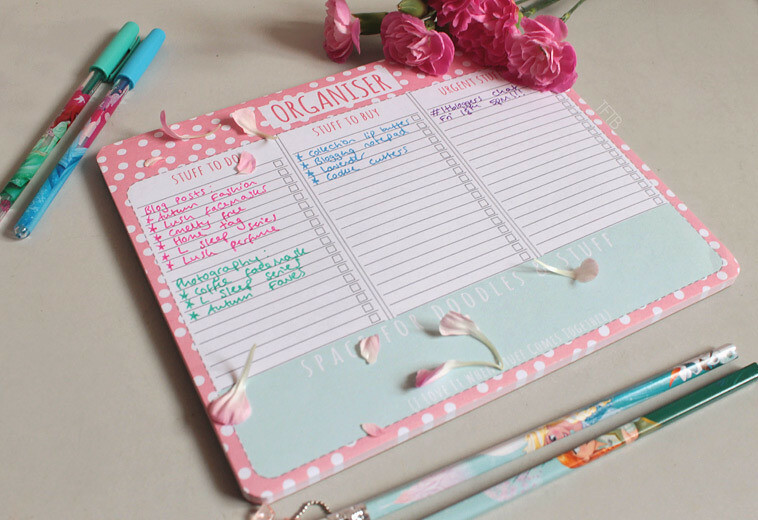 Helps you stay organized & they’re adorable! Great post ladies! I use spreadsheets and the calendar on my laptop to stay organized. Recently I got bit by the planning bug and got a planner and some colored pens. Unfortunately, my penmanship is horrible so my notes don’t look that cute but it works fine. I love writing things down in my planner and notebooks, but I’m also trying to transition to putting everything in iCal. It’s just so hard to go digital when stationary is so cute! Oh this is brilliant! I need something like that in my life 😀 I think these things can really motivate you!